The EU-Japan EPA (Economic Partnership Agreement) became effective on the 1st February. 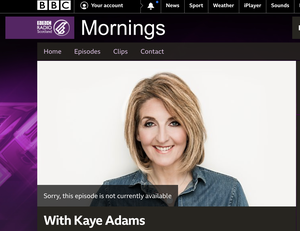 Our Managing Director Masako Eguchi-Bacon was interviewed by the BBC to share her view and expertise, and the interview was broadcast on the “BBC Business Matters” programme on the 1st February 2019. Under the EU-Japan EPA, about 30% of global GDP has become a free trade zone. This agreement will certainly strengthen the tie between the EU and Japan and encourage both trade and investment. Another important fact is that common rules including intellectual property and data distribution were established under this agreement, which will influence global standards and regulations. This year in the UK, there has been uncertainty in the business environment due to the Brexit, however, our clients’ businesses remain strong despite such challenges. Thames Valley Chamber of Commerce and Masako Eguchi-Bacon, our MD as well as the Japan Desk of TVCC, hosted the Japan Roundtable on the 30th November. We shared tips in developing business with Japanese companies and discussed further opportunities in line with a series of international events Japan will host: -2019 Rugby World Cup, 2020 Tokyo Olympics and World Expo 2025 (Osaka, Kansai). OBM signed a strategic partnership with CloserStill Media Ltd, who hosts “SMART IOT”, one of the largest IOT exhibitions in the UK. SMART IOT 2019 will be held on the 12th and 13th March 2019 at ExCel London and both companies will support sponsors and exhibitors from, but not limited to, Japan and the UK. New Article “Tips for a successful exhibition and how to follow up"
From the end of September through early October, I was in Japan to support collaboration between our clients OKAYA & CO., LTD (Japanese) and Crowd Charge Ltd. (UK). This was the second opportunity where both companies exhibited together in Japan and there were some reasons why the second exhibition went so well. Here I introduce the three most important aspects. We were very honoured to be invited to the world’s first Zero Emission Vehicle Summit in Birmingham on the 11th September. Amid a trend of new technologies applied cross-industry, how can we establish a collaborative relationship? This article introduces a case study of a UK government project. On the 3rd May, the International Technology Conference was held, hosted by Thames Valley Chamber of Commerce. Every year, the conference features the latest technology trends, business models, challenges and solutions in the UK. From the 28th February to the 2nd March, our clients OKAYA & CO., LTD and Crowd Charge Ltd co-exhibited in the Smart Energy Week 2018 in Tokyo. This partnership derives from an existing partnership between OKAYA & CO., LTD, Nichicon Corporation and DriveElectric Ltd, which was established in September 2017 where the three companies agreed to bring Nichicon’s V2G chargers to the UK market.